As I suffer from dry skin and horrible dark circle under my eyes from years of stress and lack of sleep the lovely people from Fade Out kindly sent me some of their products to try out. I was sent the Nourishing Night Cream and the Anti Shadow Brightening Eye Cream. Here is what I thought. *Prevention - Penetrates deep into the skin's outer layers, preventing the melanin from reaching the upper layers of skin so skin appears lighter. *Repair - The rich formula works overnight to nourish and hydrate the skin helping repair from within so skin feels revitalised. *Correction - Targets problem areas of hyper-pigmentation, skin discolouration, age spots and sunspots so dark areas fade. *Future Defence - Enhances the cell renewal process, slowing down and inhibiting the formation of further dark spots so skin remains lighter. Fade Out claim that in just 4 weeks "areas of pigmentation will be significantly lighter" and I feel that this is justified as my skin is lighter, my freckles are lighter and the skin around my eyes looks better too. You can purchase your own tub of 50ml Nourishing Night Cream from Boots for £9.18. *Reduces Dark Shadows - A tinted light cream that helps diminish discolouration for luminous looking skin so dark areas fade. *Targets Fine Lines & Wrinkles - Specially formulated with light reflecting particles so the appearance of fine lines are reduced. *Minimises Puffiness - Enriched with Vitamin A to hydrate and assist the production of collagen so skin appears firmer. *Brighter Skin - Visibly improving uneven skin tone and texture so skin looks lighter. You can purchase your own tube of 15ml Anti Shadow Brightening Eye Cream from Boots for £8.99. Here is a quick run down of how the Fade Out products work. Excessive production of melanin in the skin can result in areas of uneven pigmentation, age spots and overall darker skin tone. Over time this causes the skin to lose its brightness and appear dull and uneven. Melanin, the brown pigment in skin, is produced by melanocytes. The transfer of melanin into the upper layers of the skin is accelerated when exposed to the sun or certain hormones. Fade Out products inhibit melanin transfer into the upper layers of the skin. Clinical trial test results show 100% effectiveness in achieving a bright and even skin tone in just four weeks using the products twice daily. The clinical trial was conducted with 100 women aged between 18 and 40 with various skin types and tones. You will also be glad to know that Fade Out is safe to use during pregnancy but if you have any concerns you should consult your GP before use. Overall I really like both of these products and I think for such good creams the price is justified and quite fair as some of the creams on the market today are ridiculously priced. Both creams stand up to the claims of Fade Out and I would quite happily recommend to friends and family. I have no problems with these creams apart from the smell of the Nourishing Night Cream but you can get over that easily. Please visit www.fadeout.com for more information and other great products. You may also wish to enter the Dolly Girl Boxed Baby Gift Set Giveaway. Please visit MyFunnyBunny.com online and like their twitter and facebook page. Remember to tell them The Breastest News sent you. Our lovely pooch Lexie has unfortunately developed allergies to some of life's most common inhabitants, such as dust mites, tree pollen, certain fungi etc, so this has given her very delicate skin and an irresistible urge to scratch herself senseless until she bleeds which as you can imagine is not good! And as she comes into contact with her allergies on a daily basis she has had to be prescribed steroid tablets by the vet which she will most probably be on for the rest of her life. The tablets do help but she still has the odd scratch so when I was asked to review the Aubrey Organics Organimals pet products I happily agreed as I hoped it would help soothe Lexie's skin and keep her fresh so fingers crossed for less scratching. I was sent the Shampoo and Grooming Spray to try out. Both of these products are suitable for Vegan's and carry the "leaping bunny" logo which means that they are cruelty free cosmetics. It is a massive plus to know that Aubrey Organics are against any animal testing and have vowed to never test any of their products on animals. Overall I love both of these products and so does the other half as they make Lexie smell fresh and keep her clean meaning our home now smells fresher and feels cleaner. Both products definitely work and are well worth the money and I feel they will last you for a good length of time before you have to repurchase. Please visit http://www.aubreyorganicsuk.co.uk/ for more information and other fabulous products. You can also find Aubrey Organics on Facebook and Twitter so why not hop on over and tell them The Breastest News sent you. Give your mum a little something different this Mother's Day from Calendar Wizard. Beautifully personalise calendar's, diaries and note pads with your own special photo's for that perfect thoughtful gift. Transforming your photos into stunning photo gifts is an easy way of creating a unique present that your mum will treasure. Collect your favourite photos, upload your photos quickly and easily to Calendar Wizard and if you’ve chosen a photo notebook or diary, you can even choose a diary cover design. 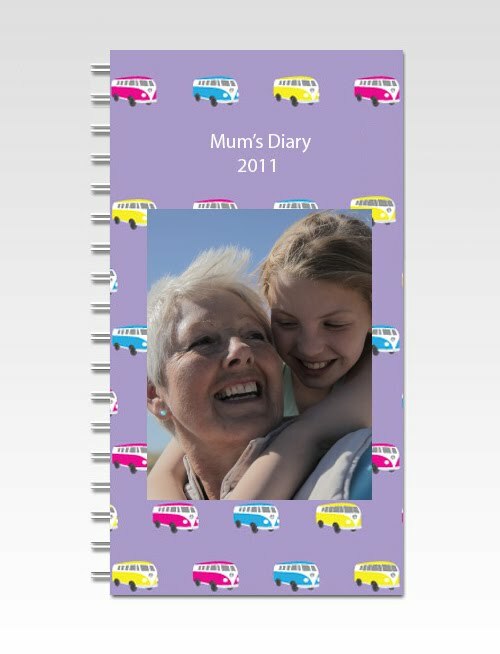 Add holidays and events in the personalised date section of your creation – even add your mums birthday for that added wow factor! Your gift will arrive within 5 working days ready for your expert wrapping or you can send it straight to your mum! Which is very handy. Create perfect personalised photo gifts Mum will love at Calendar Wizard! I love the Photo Notebook. It’s perfect for shopping lists, little memos and even doodling while watching Corrie! They are very good quality with a plastic front cover to protect your personalised photo. There are several backgrounds to choose from to complement your photo and the finish is lovely. Plus there are plenty of pages in the notebook so it will keep your mum going for a while. The little diaries are very sweet and the perfect size for your mother's handbag. Every month you get to have a different photo for your mum to see which is sure to bring a smile to her face. The quality of this is very good as well with the same plastic front cover as the notebook. Prices are as follows; Original Photo Calendar (A4 Sized) £11.99, Large Photo Calendar (A3 Sized when hung) £15.99, Photo Desk Calendar (A5 Sized) £8.79, A6 Notebook £3.99, A5 Photo Diary £11.99 & Slim Photo Diary £11.99. Last order dates for delivery before Mothers day is 30th March – Midnight. They're helping you save the pennies too, Save 20% off all Calendar Wizard photo gifts by entering code 260209 at your basket. Overall these are great gifts to get your mum for mother's day with fair pricing and good quality. I feel that Calendar Wizard could extend their range a little and maybe add some fun gifts such as mugs, keyrings etc. Please visit www.calendarwizard.co.uk for more information and products. You can also find Calendar Wizard on Facebook and Twitter. Why not have a nosey and tell them The Breastest News Sent you. As I suffer from quite dry skin and am also prone to stretch marks, the lovely people from OCCO asked if I would like to try out one of their products from the OCCO Mirnavina No4 range. I was sent the Grape, Blackberry and Apricot Bath & Body Oil. Here is what I thought. The presentation of this oil is very professional, it comes in a beautifully decorated box in a lovely glass bottle. The whole thing oozes quality. Here is how OCCO came up with their rejuvenating Mirnavina range "Mirnavina (pronounced Mi-na-vina) is inspired by Istria's longest and richest river, The Mirna, and the famous wince producing vineyards that lie on either side. Walking through the fields of colourful fruit trees and the leafy Mirna Valley recharges your senses and replenishes your zest of life." I really found this oil rich and nourishing with a brilliantly fresh scent. The scent is very soft on the nose and is a delight to sniff. I really liked to use this oil in the morning after my shower as it really gave me the pick me up to get going and focus my senses ready for a day of work. The grape, blackberry and apricot comes in a 150ml bottle and retails for £25.00. The ingredients in this oil are 99% natural and can be used in the bath, on your body and even your hair! Added vitamin E and blackberry leaf extract help reduce any skin redness and help protect and heal the skin. It really does hydrate your skin and my stretch marks look a lot lighter and less noticeable after only using this oil for a few weeks. I think 150ml is a lot of oil so I can see it lasting for a good while into the future. I'm even going to try and get the other half to give me a relaxing massage with this oil, relaxing and rejuvenating at the same time. What more could you want! The OCCO Mirnavina No4 range uses an average of 98% natural ingredients with 100% natural frangrance so you really know they have your skin in mind when creating their products. You can find these beautiful products from selected John Lewis, Fenwick, Harrods and Fortnum & Mason stores. Overall I really love this gorgeous oil and if that's anything to go by then the rest of the range will be fantastic too. This is a very high end product so it has a price to match which might be difficult for some people's budgets. Please visit www.occo-online.com/shop/ for more informatio and products. The lovely people at DotComGift's have kindly offered one of their beautiful Boxed Baby Gift Sets up for grabs to one of my lucky readers. "Dolly girl pink polkadot three piece boxed baby gift set, 100% super soft cotton jersey, easy to wear and practical too! Sets are machine washable, which can be tumbled dry and ironed on reverse. Available size: 0 - 6 months. A perfect gift set for newborn baby girls." 4. Then leave a comment here telling me which method of entry you have chosen. Extra entries will be given to those who complete all 4 steps. This is a UK only giveaway, closing date is 7th April 2011 at 12 noon. Logan has been a very lucky boy recently and he felt even luckier when GALT asked him if he would like to test out some of their fab toys! We jumped at the chance and the lovely people from GALT sent Logan a Peep-o Puppet Cow and the Stacking Hen. Here is what we thought. "With 175 years experience in toys and education, Galt know a thing or two about designing toys to encourage children to learn through play...and also have fun! All Galt toys are manufactured to the highest standards of quality and safety. From our unique Playnest for babies, to craft and science for all ages, Galt offer a great range of imaginative toys!" This little cow is adorable and actually quite big which is great as some peeping puppets we have had haven't been long enough to get the full effect. This little cow can be pulled right inside its cup hiding it completely and then *surprise* he springs out to greet your baby with a big smiley face. The handle is the perfect size for little hands too as Logan likes to give the cow a big kiss and a cheeky little chew! On the subject of chewing I feel this toy is very durable considering Logan has 12 teeth now and has chomped on the cow a good few times and he was not being gentle either. This little cow contains a bell as well so he jingles when you pull him up and down and if your child grabs him you will hear him crinkle. Brilliant for exploring touch and sounds. We love that this toy is very colourful and also the black and white colouring of the cow will be quite captivating to a young baby and help keep their attention for longer. If you do not fancy the cow yourself you can purchase the Dog or the Lion for your child, all 3 of these toys look amazing it will be hard to choose. The retail price for these peep-o puppets is £7.99 and you can purchase directly from the GALT online store with a standard delivery charge of £3.95. We love the stacking hen, Logan is completely obsession with carrying around the base and chewing on the pole. Instead of putting the rings on he delights in taking them off and thinks it's brilliant. He'll watch myself or the other half stack up the hen for him then he'll dive right in pulling the rings back off then running away with the base. He thinks it is so funny he's started wanting a chase round the house when he runs away with the base. The stacking hen has so many textures, colours and sounds to explore it is very stimulating. It has a squeaky beak, crinkly wings and furry, rattle and jingle rings. You can rest assured this is a very safe toy as it is filled with foam and light weight so no worry on it being dropped on little toes. Another delight is that this stacking hen is machine washable so no panicking when your little one wants to share some chocolate with their favourite hen! This would be a great toy to take on journeys as it comes in a very handy PVC bag with carry handle. It would give your child a sense of importance if they were allowed to carry their stacking hen with them. You can purchase your very own stacking hen for £12.99 from GALT's online store with a standard delivery charge of £3.95. Overall these are fantastically fun toys, lots of textures, colours and sounds to explore that will keep your child amused for a good while and also allow you to interact and be part of the fun. I feel these are a tad on the pricey side but they are good quality and you get what you pay for. For further information and more fantastic toys please visit http://www.jamesgalt.com/. You can also see what GALT are up to on Facebook and Twitter so get on over and like and follow. Please remember to tell them The Breastest News sent you! Are you looking for some funky stylish items for your child's Nursery? Well look no further. Here are some great items to create the perfect nursery for your little one. These look amazing and are dead cool! 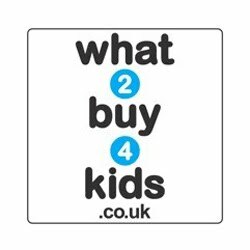 Prices start from £1500 depending on the spec etc which is a little scary but how amazing to have in your childs room! We will definitely be looking into these for Logan's new room. You can write on them with chalk till your hearts content and be safe in the knowledge that your newly painted walls will stay crayon/ pen free as your cheeky little monster can satisfy their drawing urges on the wardrobe doors instead. Hurray! You can find more info and products at www.sliderobes.com. Looking for a mobile that is a little bit different? Then these are for you. LED light up mobiles in the shape of elephants, horses, dogs or ice stars connected by micro-wire to a transparent ring leading to a compact battery pod with a hanging hook. 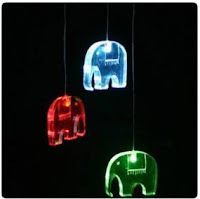 They are ideal for a child's bedroom or play area and make a fantastic night light. Suspended over a baby's cot, the nursery lighting will sooth and stimulate as the colour changing LED lights phase through blue, green and red. Each Mobile requires 3 x AAA batteries (not included) and comes packaged in a frosted plastic box. The animals retail at £14.99. The Colour Changing Glow Light Ice Stars look stylish and elegant as they glisten and slowly phase through five gorgeous colours. 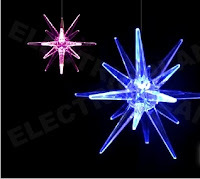 A thin translucent micro-wire connects the 18-point Ice Star to its pod-shaped battery pack (with built-in hook) which powers high quality slow-phasing LEDs. 3 x AAA batteries are required per Ice Star (not included). The ice stars retail at £7.99 for small or £9.99 for large. You can purchase these fantastic mobiles from www.rockingpony.co.uk. 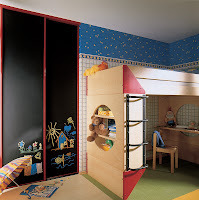 Looking for that extra bit of storage or some where to put all the toys when your little one goes to bed? This gorgeous high quality blanket box should do the trick. Retailing at £259.00 is has been lovingly handmade to the highest standards using Wiltshire solid pine. This box has a soft cream paint finish with contrasting natural waxed top. Ideal for blankets and linens or toys and games. With locking stay and cut-out finger protectors on the lift-up lid on all sides. You can purchase this gorgeous piece of furniture from www.cotswoldco.com. This is the perfect blaket to keep your baby nice and warm and when not in use can be used as a throw for the bed. For 2011 there will be gorgeous new cashmere blankets from Yorkshire. 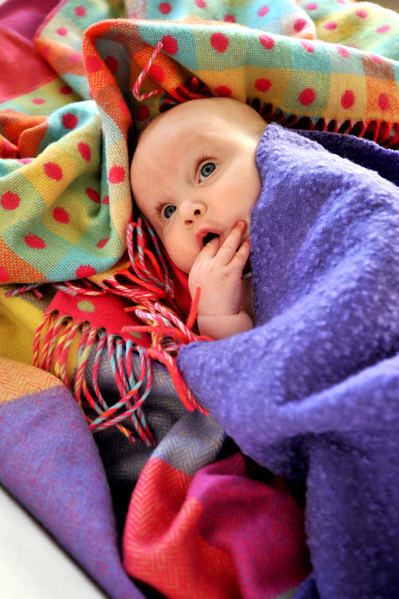 Look out for the cotton fleecy blankets too, perfect for cots, prams and just general snuggling anywhere the baby goes. These range from £18 in nautical navy/white stripe to versions in pretty pink and pale blue. It is well worth the investment to buy babies and toddlers these nursery essentials made from natural fibres. Wool naturally repels dirt and is much better at controlling the baby’s body temperature than a synthetic alternative. They also make fabulous presents from grandparents, godparents, family or good friends and will become heirlooms in their own right. You can purchase your very own blanket from www.atlanticblankets.com. The 'Kids JimJam' beds are sturdy, stylish and have handy removable cotton covers that can be washed regularly to keep them looking fresh or they can be changed when necessary to suit children's changing tastes. Further more there is also plenty of room underneath for storage baskets to hide away toys or a trundle bed for sleepovers. You can purchase your very own JimJam for £525.00 from www.thesleeproom.com. Not a fan of the LED mobiles then this little bird might be of interest. Absolutely adorable is the word that springs to mind when first seeing this clever little owl! Not only cute as a button but also able to preform a soothing Brahms lullaby! Hang it by the bed and let the owl lull your little one to sleep. You can purchase your own little owl mobile for £25.00 from www.skandivis.co.uk. Imortalise your child's name in a work of art forever with these amazing masterpieces from Alphatastic. Prices start from £34.95 and you can have them framed too so less hassle for you! There is a wide array of designs to choose from for boys and girls. Get your own from www.alphatastic.com. These are just some of the cute, interesting and innovative products that you can have for your child's nursery and we will most certainly be looking into a few of these products for Logan's newly decorated room. Infact we already have a beautiful Alphatastic name for Logan, we just need to get round to putting it on the wall! The lovely people at Esdevium Games Ltd are the UK's largest distributors of Board Games and Collectables but this year they are venturing into the pre-school toy market and introducing the very cute Fisher-Price Classics range. These toys are the re-issued retro classics of yesteryear made to a high manufacturing standard for children of today. 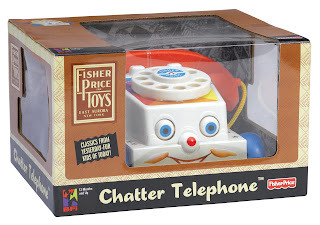 Esdevium Games Ltd have the exclusive UK distribution rights for the Fisher-Price Classics range for 2011 and we were lucky enough to be asked to test and review the Chatter Telephone. Here is what we thought. "Introduced in 1961 as the Talk Back Phone, The Chatter Telephone was designed with a rotary dial to teach children how to dial a phone. Today's Chatter Telephone makes children smile just the same way, with eyes that role up and down, a mouth that chatters, and a dial that rings. This friendly phone is ready for a whole new generation of children to enjoy!" So does this phone stand up to its amazing intro? Well I really think it does! This cute little retro telephone made a big impression with Logan. When he spied it in the box he could not wait to get it out. It has some lovely bright colours and beautiful blue eyes. Straight away Logan went for the dial, sticking his fingers into the little holes and pulling them round. He was surprised to hear a ringing noise when he let the dial go and would sit for ages making the telephone ring. The phone came in very handy when Logan would have to go in his play pen if I needed to nip to the toilet as it would stop him from having a trantrum or becoming bored. This telephone is very sturdy, it has been stood on and thrown several times over the play pen which is quite high and it has not suffered any damage. The little phone itself has passed the chomp test and has no bite marks at all. The telephone has a string at the front so your child can use it as a pull along toy and when you pull it the eyes move and the phone chatters away. Logan thought the chattering noise was quite funny and would push the phone back and forward to make it chatter. As well as the chatter telephone there will be a few other Fisher-Price classics being brought back into the range. These have not been finalised yet but please look out for them in future. This toy is recommended for children aged 12 months + and you can purchase this chatter telephone from Amazon with a RRP of £14.99. It is currently selling for £10.49 with free shipping so grab yourself a bargain whilst you can. The only little niggle I have with the actual phone part is that the cord connecting the phone to the base could be a little longer so that Logan could put it to his ear without the whole unit lifting off the floor. Overall this is a brilliant sturdy little telephone that can with stand a good bashing and will take you back to you child hood with fond memories. I think this phone is priced fairly and you will always get a bargain on Amazon. You may also wish to enter our Pregnancy Cook Book Giveaway. Please visit Organix online and like their twitter and facebook page. Remember to tell them The Breastest News sent you. After a horrible accident with some hot coffee we are happy to say that Logan is on the mend and almost fully healed. He only has a few little red marks on his chest and a couple of red dots on his chin and shoulder. We'll be at the doctors next Tuesday for another check-up and to have his plaster changed so big fingers crossed it'll just about have all healed by then. After having saved our pennies and not spent money on any rubbish for a little while we decided to treat ourselves to some new clothes. Logan got a lovely t-shirt from Levi's, my other half got some new Levi jeans and Nike trainers and I got a lovely water proof berghaus jacket. Well worth the wait. Logan is now starting to eat more home cooked food which is fantastic and take a bit more of an interest in fruit. As long as I make him some food with a tomato taste then he'll eat it! It's funny as all I ate when I was pregnant was tomato soup. He finally ate some strawberries this week as well, normally they have been too sweet for him but he gave them a go with some cream from mummies strawberry tart, yum. Lets hope the good eating continues. Now that Logan is 15 months old we have been trying to get him to drink from a more grown up cup so when BABYBJÖRN asked us if we would like to test and review their cup we were delighted. Here is what we thought. We were sent a lovely green cup from BABYBJÖRN which grabbed Logan's attention straight away. I was surprised by how small the cup is but that's a good thing as it is perfect for Logan's little hands to grip. The bass of the cup is weighted slightly which helps to keep the cup from tipping over when on the highchair. The cup has nice round edges so as not to damage little gums and teeth which is great and it also has measurements up the side of the cup and it can hold 100ml of liquid. This cup is BPA free and is suitable for 8 months + so introducing your baby to the cup early enough will get them used to it quicker. I like it that it resembles a normal ish cup shape so that your child can associate you drinking from a cup and watching how you do it to them drinking from their little cup. I think it aids the learning process if your child can see and learn from their parents. Logan loved this little cup and has chewed on it none stop. He does take sips off water from it quite happily but then proceed to tip the cup over his head and the water. I think we need to work on showing him how we drink from a cup and hope that he follows suit. It fits perfectly in his hands and the non-slip grip around the cup helps him to hold on when his hands are covered in food. The bigger base helps him to put the cup down on his highchair table without it tipping over which I appreciate. I love the fact that you can put this cup in the microwave and the dishwasher. It makes things so much easier and quicker. This cup is made from durable and recyclable plastics which is a surprise as not many brands use plastics which can be recycled. The cup has been developed with paediatricians, industrial engineers, children and parents so a lot of research and testing has gone into it. The BABYBJÖRN cup can also be used as a feeding container and is designed to fit perfectly with the BABYBJÖRN Spoon. Overall a great little cup and with more practice I'm sure Logan can master it. There has been so much thought put into it and we would definitely recommend to friends and family. A little bit pricey but it will last a good bashing and can be passed on to the next child. Please visit www.babybjorn.com for more products and information. Logan loves to chew and munch on his toys and teething has not helped so when we were asked to test and review one of the lovely Miffy Comfort Blankets we were very excited. The lovely people from Miffy kindly sent us one of their comfort blankets with little tags and knots in it to test. Here is what we thought. This little comfort blanket is very cute. It has a small rabbit attached to it that has a squeaker in it's tummy which is handy for grabbing Logan's attention. The blanket itself is very soft, infact it is so soft I can't stop touching it! It has lots of different textures to help your baby explore by mouth or hand and Logan loved this as he has a thing about labels on his normal toys so to have proper little tags was brilliant. The rabbit is great as it is firm enough for your baby to have a good chew on whilst teething and because it is soft it won't damage their little gums. We also love that their is minimum packaging and it is mostly cardboard which can be recycled. This comfort blanket is suitable from birth and would make a perfect unique present for any new baby. The great thing about this comfort blanket is that it is machine washable so you can let your little one explore and chew as much as they want and be safe in the knowledge that it will go in the wash at night fresh for the next morning. This blanket measure 24cm x 24cm including the side tags and miffy sits 140mm high. You can purchase this miffy comfort blanket in the lovely dotty red or blue gingham check from Miffy's own online store here priced at £9.99. Overall this is a great comfort blanket and we totally love it. I think it is fairly priced compared to some of the other comfort blankets on the market and I really feel you get more for your money. Please visit www.miffyshop.co.uk for more information and products. You can also follow Miffy on Twitter and Facebook. Please remember to tell them that The Breastest News sent you. 2. Follow MyFunnyBunny on Twitter and tell them The Breastest News sent you. 4. Follow The Breastest News Blog on Facebook (or tell me you already are). 5. Then leave a comment here telling me which method of entry you have chosen. Extra entries will be given to those who complete all 5 steps. This is a UK only giveaway, closing date is 28th March 2011 at 12 noon. We are always looking for new products to wash Logan with and to use as a nappy cream as Logan has quite sensitive skin. 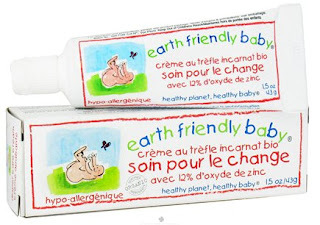 When the Earth Friendly Baby team got in touch and asked us to review a few of their products we glady accepted. We were sent the Organic Red Clover Diaper Care Cream and the Organic Lavender Shampoo & Bodywash. Here is what we thought. The ingredients in this nappy cream are 100% derived from all-natural sources where possible and is not tested on animals. A massive plus for us, eco friendly and animal friendly. Just what we like to hear. This nappy cream is hypoallergenic and has 12% zinc oxide to help clear up any nappy rash. You get 43g in each tube of travel cream or you can buy the 113g bedside cream and I must say that it is really nice. It has a good texture to it like a cream should and is easy to apply to babies bottom. I feel that you do need a good helping of this cream to sufficiently cover your babies bottom so you might use the cream up quicker than some other nappy creams. The plant Clover is included in this nappy cream as it is a natural anti-inflammatory and the cream is also unscented so as not to irritate the skin. It did really help clear up Logan's nappy rash and he didn't complain when I was applying it either. You can purchase this nappy cream for £2.99 for the 43g tube or £5.49 for the 113g tube and you can buy it from selected Waitrose and John Lewis stores. This shampoo and bodywash smells great with the Lavender and the fact that it has a double use is a bonus. Saves you a bit of money from buying seperate hair and bodywash products. This products is also hypoallergenic and not tested on animals. You get 251ml in each bottle and is developed to be very gentle on babies delicate skin. It has certified organic ingredients and has won the Mother & Baby Silver award for most eco-friendly product, a great achievement. The bottle is great and has a handy flip top lid so no need to unscrew anything to get the shampoo and bodywash out, saving you time if you have a restless baby in the bath! If you are not a fan of lavender you can also purchase this shampoo and bodywash in Chamomile and Mandarin. When using on Logan's hair the shampoo was easy to wash out and left no residue which we appreciated and it is a good consistency and not runny. You can purchase the Shampoo & Bodywash for £3.99 from selected Waitrose and John Lewis stores. Overall we really like this brand, the products are eco friendly and kind to Logan's skin. The only problem I have is that they are a bit pricey for the amount of product you get but then again they are organic! The lovely people at Elias asked us to test and review thier new Elias Super Wipes. First Aid for removal of food and drink stains. We were sent a packet to test out which was great as Logan is a very messy eater and his food is usually all over him or me! Here is what we thought. These Elias Super Wipes are in a handy little packet which are great for keeping in your hand bag or changing bag without taking up hardly any room at all and they have a sticky resealable lid to keep the wipes moist. I had been waiting ages for an opporunity to try out these wipes and the time finally came when my partner sat on some chocolate and it melted into his good jeans! I rushed for the wipes as soon as the chocolate was discovered and to my complete surprise the chocolate stain dissapeared right in front of my eyes! It was amazing as it was a massive chocolate stain but the wipes really are Super and took the stain right out. The wipes are nice and moist and quite big so there is plenty of wipe to remove numerous stains if you need to. I was also surprised that the wipes didn't soak up the stain but some how just made it dissapear. Like magic! The best way to use these wipes is to treat the stain immediately, place a piece of cloth on the inner side of the fabric and wipe the stain with the wipe in a circular motion then wait ten minutes. Wash or clean the garment afterwards for best results. We didn't have to wash the other halfs jeans after the chocolate incident but just washed them as normal the next day and they were fine. Elias Superwipes are designed to remove stains from clothes; they are not for hygienic use and are not edible. They are suitable for a wide range of fabrics, but should not be used on fabrics that are labelled ‘do not bleach’. So be careful and check the label on your clothes first before use. Overall these are great wipes and they really do remove stains without damaging your clothes. They are nice and big and very moist which is fantastic. I would have liked a little more wipes in each packet for £2.49 but in light of things it's cheaper than taking your clothes to a dry cleaners so does save you a little bit of money. Please visit www.elias-products.com for more information and to purchase these wipes. You can also find Elias Super Wipes on twitter so be sure to follow them for some amazing deals. Remember to tell them The Breastest News sent you. I know this is meant to be Silent Sunday but I thought I better explain the photo. Poor Logan managed to grab a cup of hot coffee from the kitchen worktop yesterday and spilled it over himself. We didn't even know he was tall enough to reach the kitchen worktops so it came as a massive shock! We sprung into action and had him under the cold tap and then straight into a freezing cold bath to soothe the burns and stop it from getting worse. The ambulance arrived and whisked us away at break neck speed. Luckily he only got a few blisters and some red patches and a tiny bit of skin peeled off on his chest. He has bandages on his chest and his left arm just to keep the burns from being infected but it could have been a lot worse. We have definitely learned a big lesson from this and anything on the kitchen worktops will be pushed right to the back where Logan cannot reach it. So please learn from our mistakes. Logan is so fast now that he is walking and accidents can happen in a split second. It's very scary and we're lucky his burns aren't that bad. Logan seems fine though and is taking it all in his stride. You wouldn't think anything was wrong. He's running around playing with his toys and laughing like mad at the TV. He will have his bandages changed on Tuesday so we'll get to see how things are then. Fingers crossed. Logan is a complete water baby, the first thing he does when he is upstairs is walk straight to the bathroom and right up to the bath. I'm sure he would jump in if he could even if the bath wasn't full of water. We were delighted when the lovely people from Splash n Bump asked us to test and review their Bath Bumper Set and we gladly accepted. Here is what we thought. We really like the bright colours that the Splash n Bump Bath Bumper Set has. An eye catching bright blue with the four sponges coloured purple, yellow, green and red. These really do capture Logan's attention. So in each box you get 4 Bath bumper pads and 4 shaped sponges that fit into the middle of each bumper. The bumper pads are all the same size and measure 50x23cm. To care for your bumper you just wipe clean and you can just hand wash the sponges, nice and simple. I leave the bumpers to air dry over the bath as well as the sponges so they don't smell. Splash n Bump really have safety and bath time fun on their minds and they have definitely pulled it off with the bath bumper set. Logan can enough the freedom of the big bath without me worrying if he's going to hurt himself as he now likes to walk around in the bath and I'm petrified he'll bump his head or knock his teeth out. I don't have to worry so much now we have the bath bumpers as they are nice and thick and well capable of cushioning a fall. The bath bumpers are also shaped so they can inter-connect along the bath which is good to cover the sides or you can use them individually on seperate parts of your bath. The suction cups on the back of the bath bumpers are really good. They stuck on first time and held on securely even though Logan was hanging onto them and splashing around and when he was finished with his bath the bumpers were easy for me to remove so I was really happy with that. Another good feature of the bath bumpers is that they have a bumpy surface giving little hands a chance to explore and feel new textures. Logan enjoyed the sponges a bit too much and could easily bite chunks out of them so maybe best keeping the sponges away from little ones until they learn not to bite everything. I think that's the only problem we had with the Splash n Bump everything else was great and worked perfectly. The sponges are good for hand to eye co-ordination though and Logan was trying his hardest to put the sponges into their slots and pick them out again. You can purchase the Splash n Bump Bath Bumper set for £24.99 from Amazon and it will be coming soon to Mothercare stores. Overall we really like the Splash n Bump Bath Bumper Set. Very good for bath safety but also incorporating an element of fun and play. The price is reasonable for what you get and I would quite happily pay £24.99. I think this would make an excellent gift and something more unusual and can be used for the next baby as well instead of just the usual clothes. The sponges were our only issue but not a massive one. Please visit www.splashnbump.co.uk for more information. You can also follow them on twitter. Please remember to tell them The Breastest News sent you.